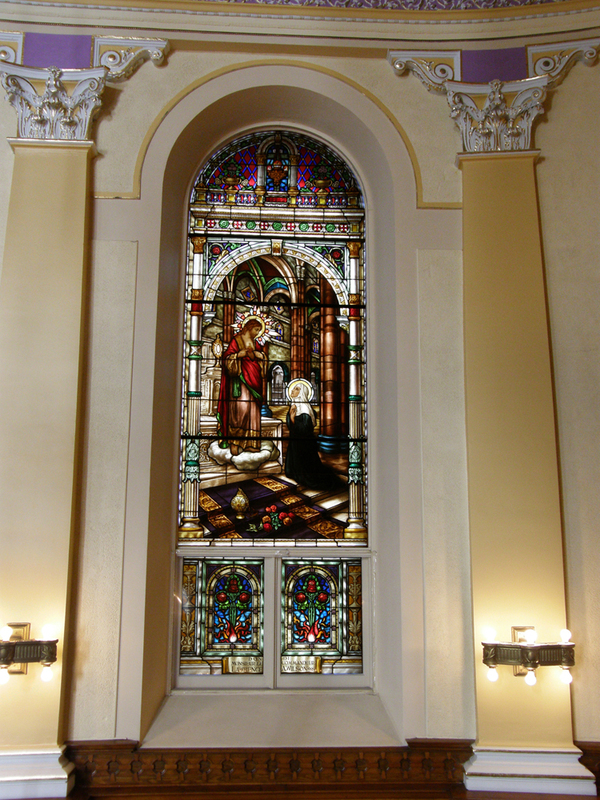 Up until the mid 20th century, the Catholic Church is the main sponsor of Quebec artists and artisans. Every art form is solicited: architecture, goldsmithing, glasswork, and painting. Prestigious materials are used, such as gold and silver, as well as humble stones and plaster. In the 19th century, religious art is at its glorious peak. 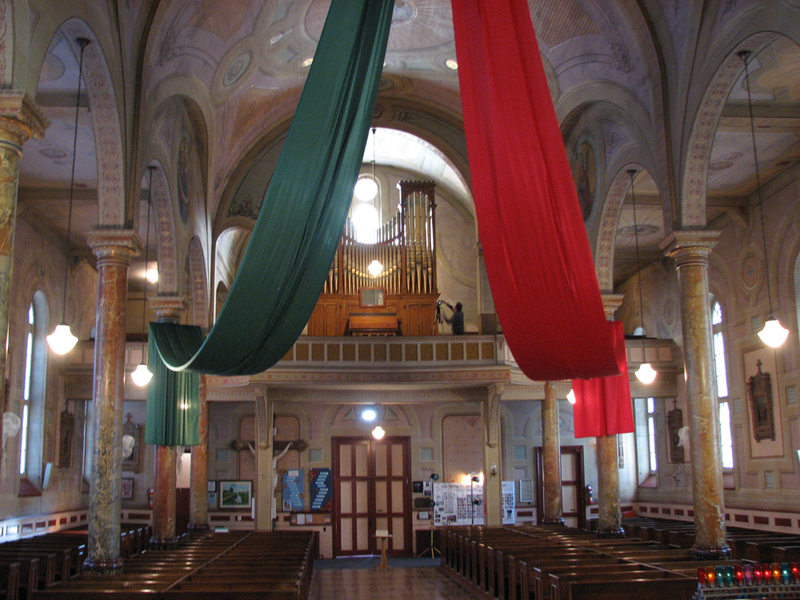 The decoration of many churches built during this period employ artists full-time. Every church must showcase an interior that inspires reverence and infuses religious understanding. The main purpose of religious artwork is to render the intangible visible. The decor is chosen to instruct and teach the faithful according to church doctrine. The visible themes allow the believers to visually understand the mass, which was celebrated entirely in Latin. Religious art is a powerful communication tool but also a pretext for creating incredible works of art. The altars, pulpits, and baptismal fonts are sculpted with wealth and refinement. The sacred vases bear the seal of goldsmiths’ proud workmanship. Paintings, often inspired from an identical model, show remarkable variations. All of these works were done as an offering to God. 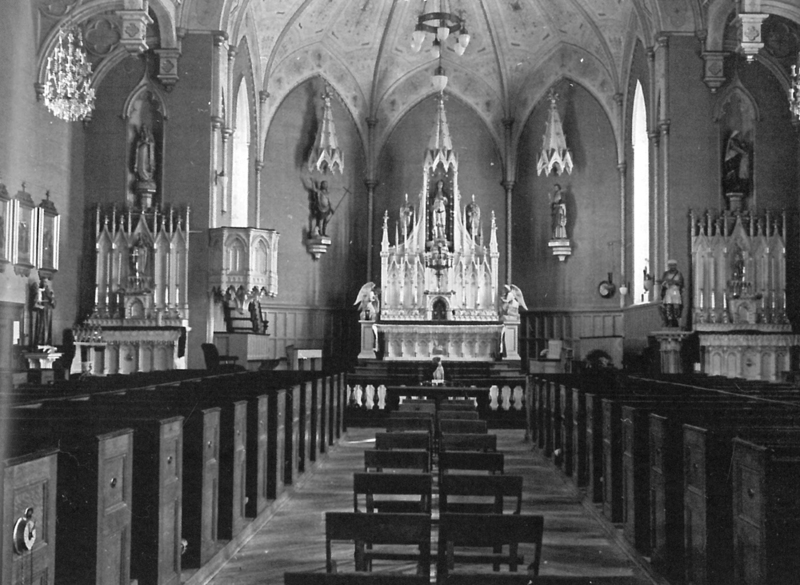 During this great period of sacred art, renown artists travel on the Vaudreuil-Soulanges territory and saturate churches with sumptuous decors and works of art. 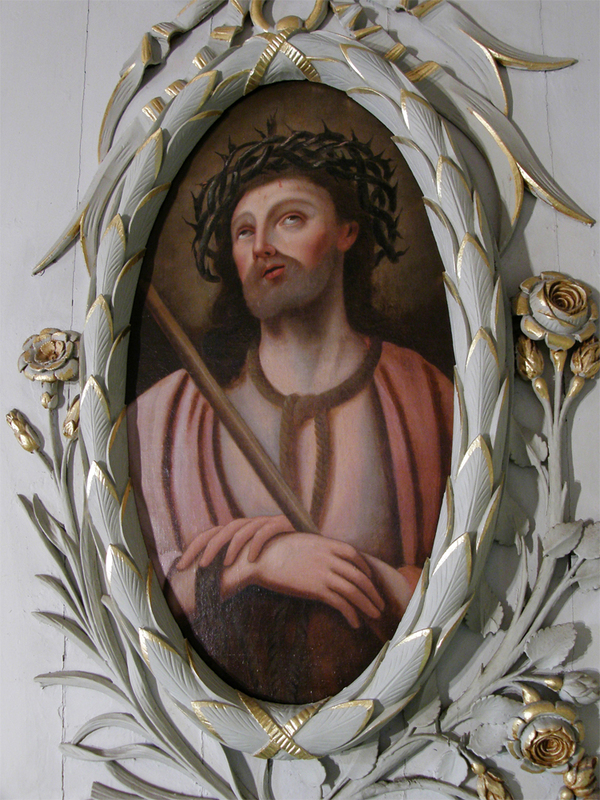 The liturgical furniture sculpted by Philippe Liébert (1733-1804), the colored stain-glass of Guido Nincheri (1885-1973), the decors painted by François-Édouard Meloche (1855-1914) and his assistant Xénophon-Toussaint Renaud (1860-1946), take part in showcasing and promote religious knowledge. Today, very few churches have conserved the objects and works of art of this time, and most of the original painted decors have vanished following unskilled renovations driven by a desire for a modern look. Fortunately, some churches have conserved their original state and are genuine works of art.